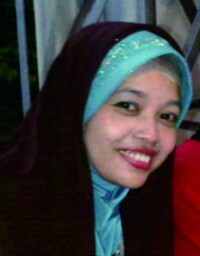 was graduated from University of Indonesia for Bachelor and Master Degree in 2000 and 2009. She just starting her doctoral degree on Management in 2013. Currently she has been working at Swiss German University since 2008, and she is in charged as The Head of International Business Administration (IBA) Department. As the one who has passion in education, beside lecturing to subjects of International Business, Professional Development, Consumer Behavior and Business Research Methodology, she’d love to conduct the research. The current research that is still running with the group at her department is focusing on Creative Industry Analysis. Collecting small stuff from other countries is also a part of hobbies to express her grateful and release from tight schedule of her activities. Motto : Faith, Passion and Grateful will lead us to the highest level of life. Sam holds a doctoral degree (Dr) from Universitas Katolik Parahyangan in Strategic Management, a Master of Business Administration (MBA) in Finance, a Magister Manajemen (MM) in Strategic Management, and a Bachelor of Science (BSc) in Finance and Economics from the University of Wisconsin, USA. He also holds professional certifications in Financial Consulting, Financial Planner, and Business Administrator. During his professional and academic career, he has received variety of awards, such as; Academic Achievement Award, Dean’s List, and Wall Street Journal Student Achievement Award, including research grants from the Ministry of Education of the Republic of Indonesia. He has years of experience in the USA and Indonesia, with University of Wisconsin, The Equitable Financial Services, Price Waterhouse, Enterprise Rent-A-Car, CP Systems, PricewaterhouseCoopers, and ETC Consulting. Currently, he lecturers in the SGU’s Faculty of Business Administration & Humanities in Strategic Management, Business Research Method, Management Accounting & Control System, and Corporate Finance. He has authored numerous internationally reviewed academic papers. His research interests are in the fields of performance management, control systems, intangible assets, group synergy, human capital, corporate recovery/restructuring, and valuations. Graduated in 1994 from Bandung Institute of Technology, Industrial Engineering graduate has worked at Caterpillar distributor in Indonesia (PT Trakindo Main). After graduated from Master Degree of Indonesia Management Development Institute and an MBA from Monash, Sinaga Junaidi dared to start a business in the field of trade machinery and tools industry to become one of the distributors of industrial printers in Indonesia. Love the world of education makes Junaidi back to campus by becoming a lecturer at the Swiss German University since 2012. He finished his bachelor degree in Hogeschool Inholland, the Netherlands and his MBA degree in HS Anhalt, Germany. Before he chose to come back to Indonesia and lives as a lecturer 2013, he worked as an economic staff in Indonesian Representative in Germany. Currently he is active as a Deputy Head of International Business Administration in Swiss German University. During free time, he likes to “hunt” beautiful moments and objects as photography is his hobby.